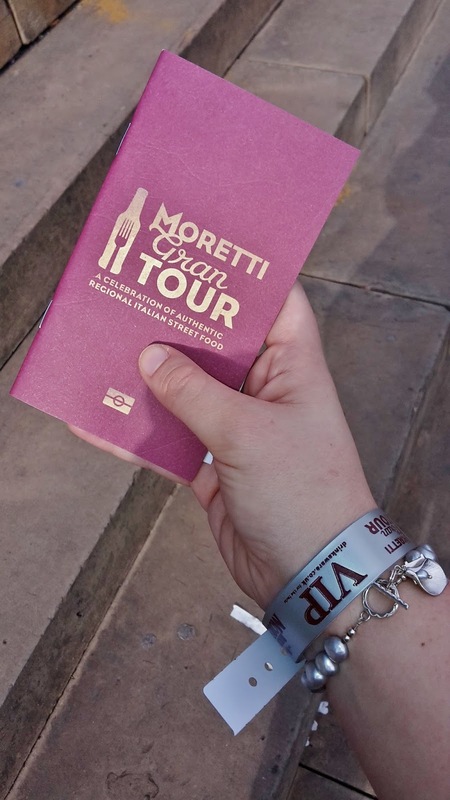 Last week I posted about all about why you should have gone to the Birra Moretti Gran Tour last weekend and this post is all about what happened at the event. 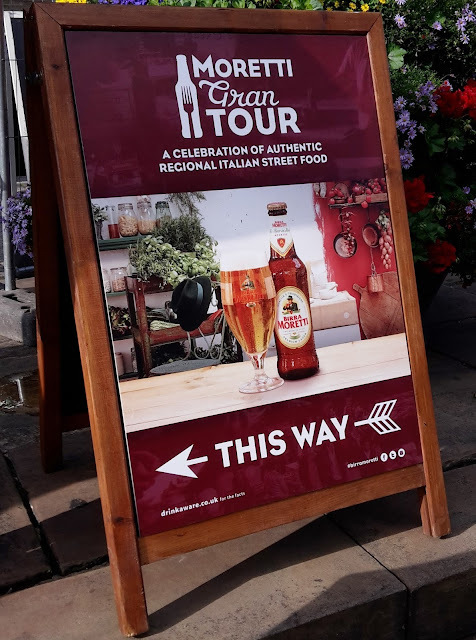 Along with my blogging wife, Jessica, we headed to Leeds Town Hall for the Birra Moretti Gran Tour for their VIP launch. 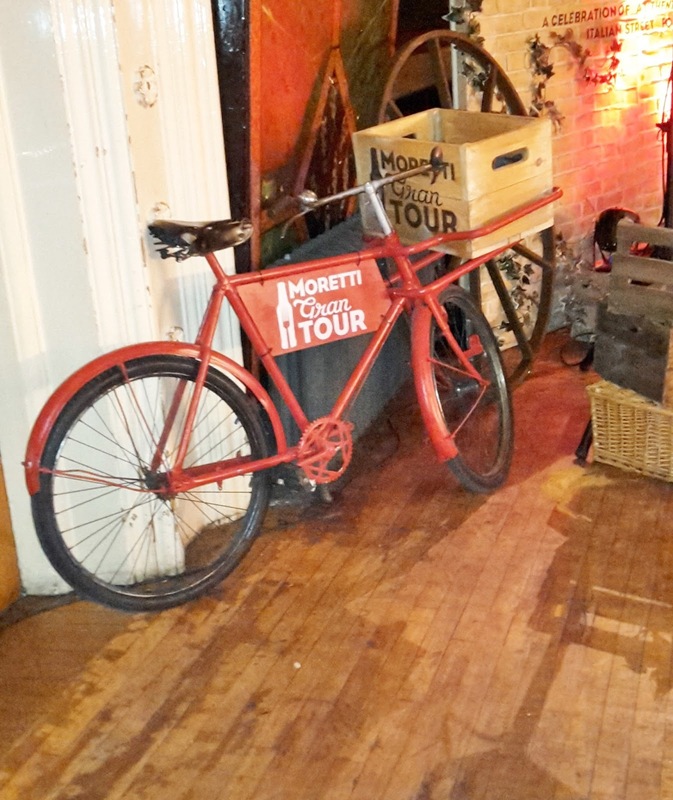 Birra Moretti has been around since the 1800s and is a 4.3% ABV lager. 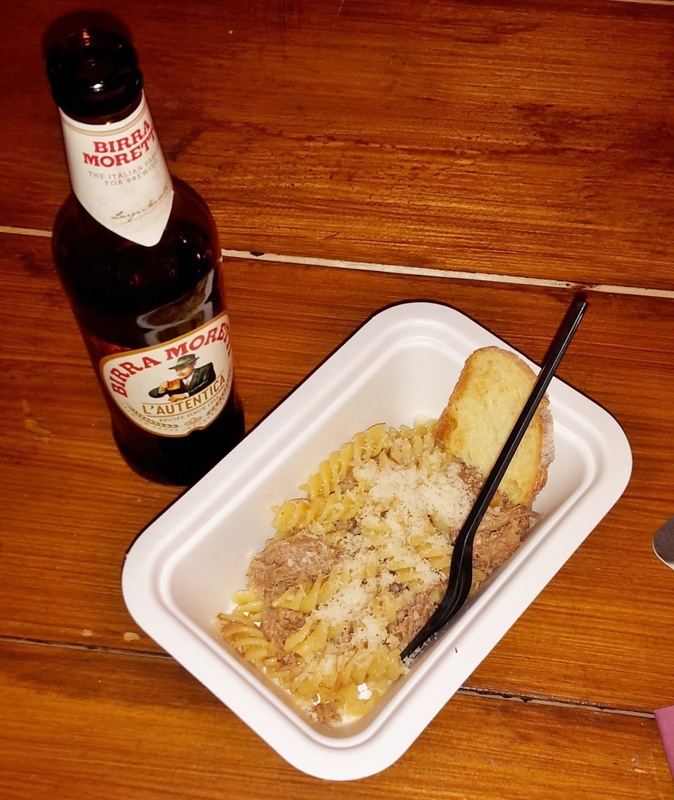 I’m not great with beer so instead of going into the technicalities of taste, I’ll just say that it tasted quite light and was perfect to go with all of the food we were sampling! It’s the kind of beer that doesn’t make you feel really full and bloated when you’re trying to eat yummy, carby goodness. 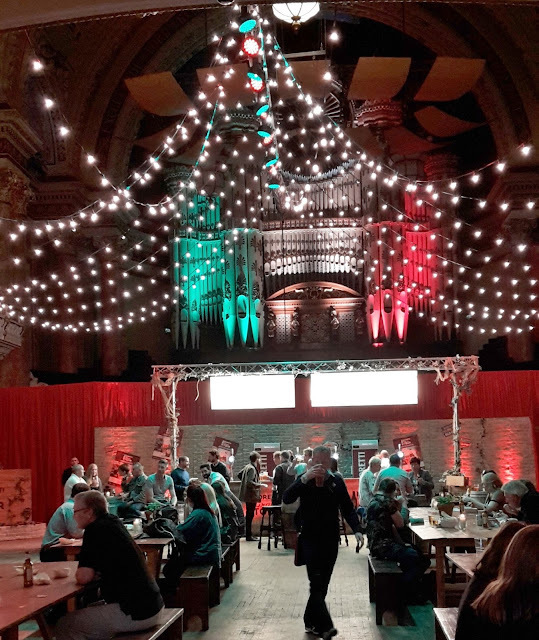 When we arrived at the event, we were given our wristbands for drinks and token to try out all of the food and it was honestly, just wow. I’ve been in Leeds Town Hall a few times for concerts but I’ve never seen it as an event space, and this was on another level. 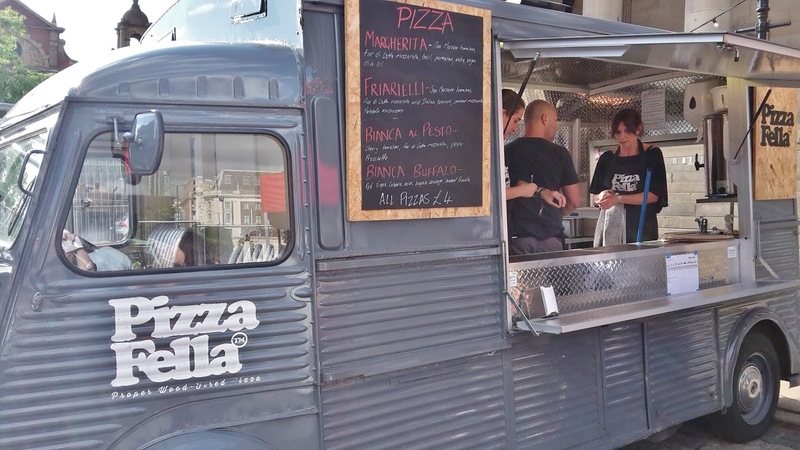 It genuinely felt like we could work our way around Italy (it was sign posted and everything) – luckily for us, we were given ‘passports’ as a guide to each vendor and so that we could get stamps from each place. 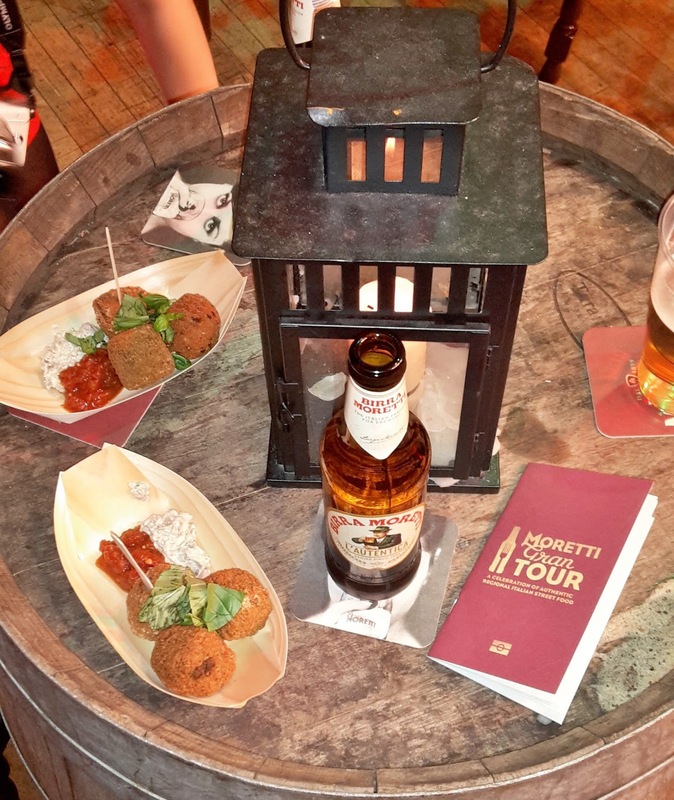 Our first choice was Aranchini Bros for risotto balls – a firm favourite of both of us. After grabbing a couple of bottles of Birra Moretti from the bar (of course),we both had three risotto balls each and they were absolutely out of this world as they were filled with cheese, rice and spinach. 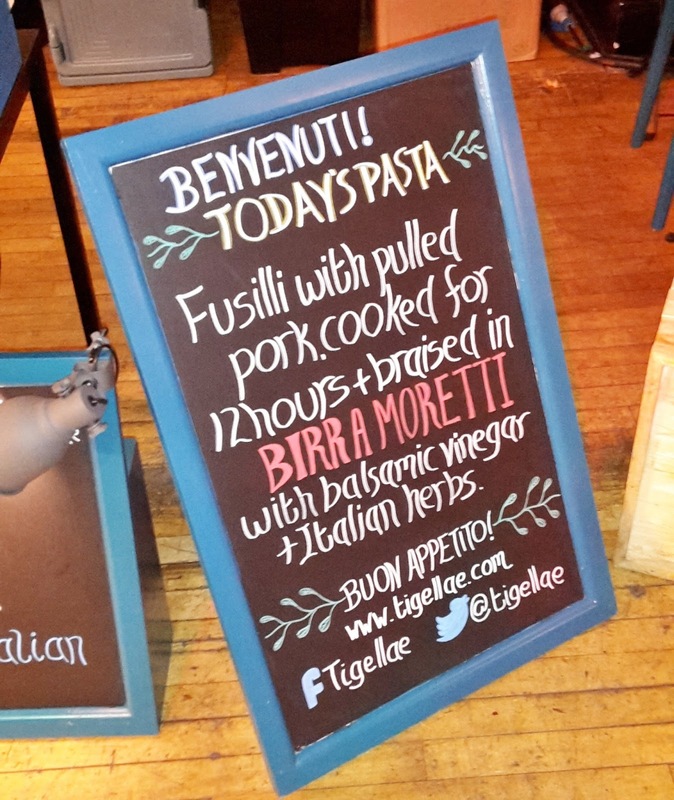 We then went to try out some different food, with me opting for pulled pork frusili pasta from Tigellae, a company based in Manchester, and Jessica going for the beetroot gnocchi from Pasta e Basta. We were both really pleased with our choices! I’ve never had pulled pork with pasta before so that was new to me, but it was so tender after being braised for 12 hours. It was almost time for our masterclass but I grabbed a lamb skewer from Ipsum Vinoteca as we waited (hey, it was next to where we needed to be and smelt AMAZING). I’ve never been big on eating lamb, more due to the taste than the morality of eating something small and woolly, but these skewers to die for. 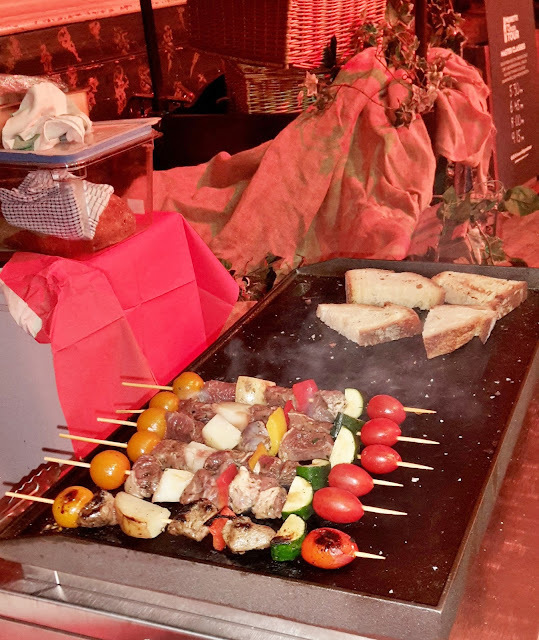 The lamb was freshly cooked on a griddle and just so moist (shudders at that worst) that the juices flavoured the vegetables on the skewer. 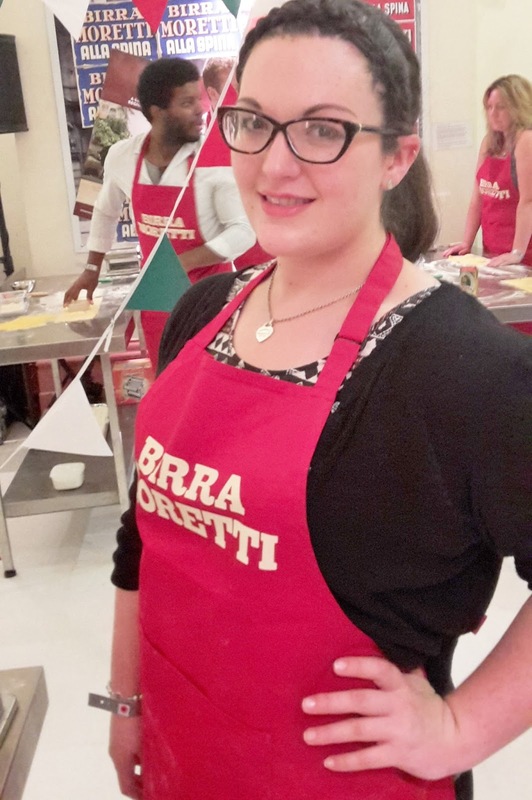 A big part of the night was to encourage people to not only eat Italian but cook Italian so Jessica booked us both onto a masterclass, run by Luke, a chef from Cin Cin. 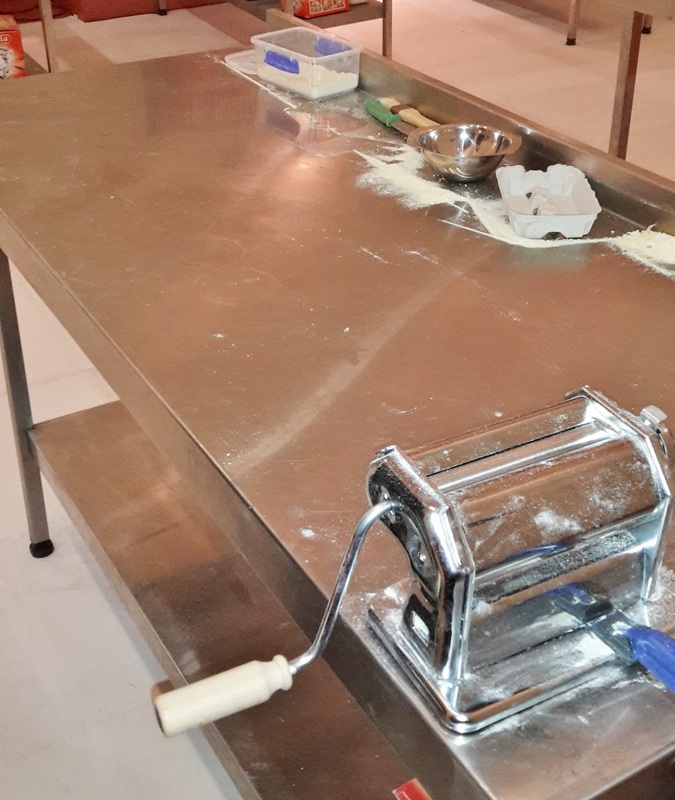 He showed us how to use a pasta rolling out machine (which we failed at fantastically) and then we made our own ravioli. It was really interesting to see how pasta is made and to hear about the best techniques – especially from someone who’s lived and breathed the Italian culture. Our ravioli tasted pretty fabulous (yes, more food) and we left feeling like we could be on Masterchef. Surprisingly, we weren’t quite ready to stop eating or drinking, so clutching our beers, we joined a very long queue for pizza from The Pizza Fella. I had a mini-pizza with buffalo mozeralla and buffalo sausage on it and I can honestly say it’s one of the best pizzas that I’ve ever eaten. And y’know, I’ve eaten a lot of pizza. It was freshly baked in front of us from the dough being stretched out to it being cooked in a pizza oven. 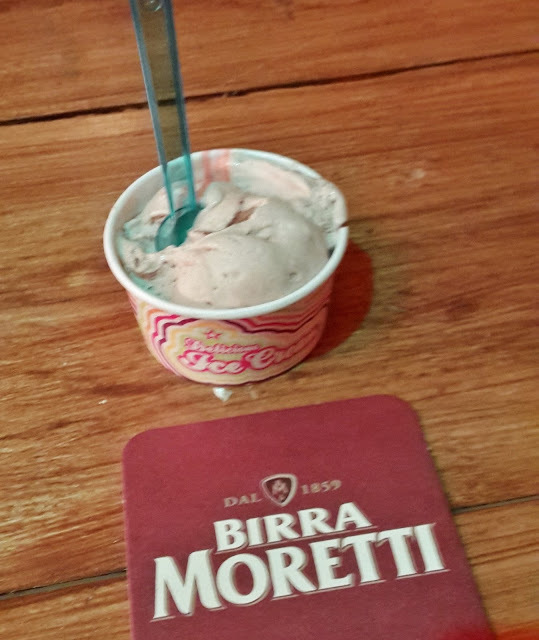 As the night was drawing to a close, we grabbed an icecream (I had nutella flavour, Jessica had limoncello cheesecake) and headed indoors to finish our beers and we had chance to chat to the lovely Lloyd and Chris who had invited us to the event. The icecream was from Brio Gelati and it was proper Italian gelato – absolutely amazing. The whole evening was an absolutely brilliant experience – and I’ve heard from friends who went on the Saturday that they enjoyed it just as much as we had!